Spring wedding. 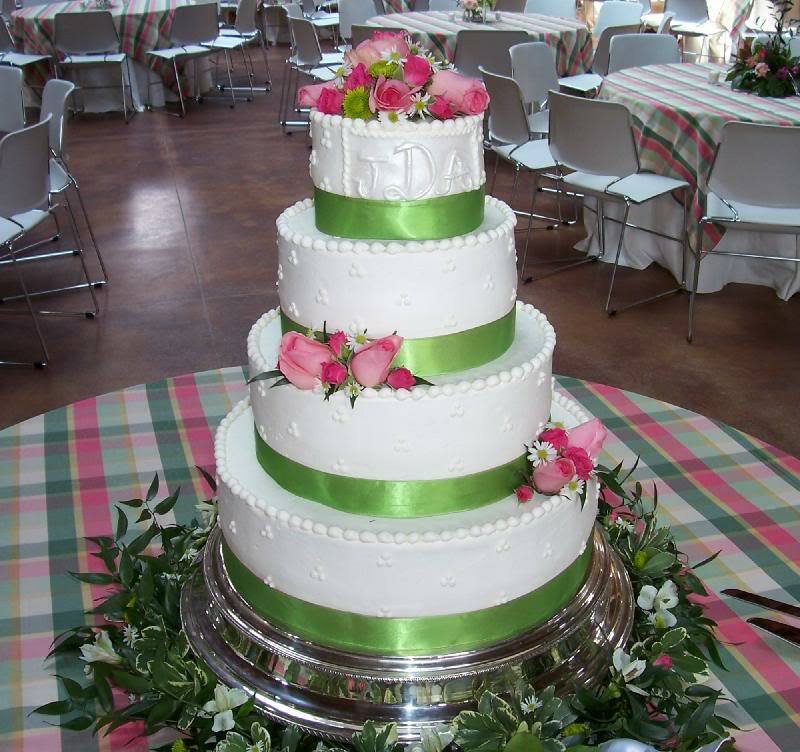 Topped off with beautiful fresh pink roses and dots on each tier. A monogram was added to the top-tier. It’s nice to see someone using buttercream as their main icing rather than fondant – seems everyone wants to be a fondant master, and they forget how much can be done with buttercream! Yes I prefer Butter cream but I guess it’s because I’m a”old school” decorator.